Directorate of Accounts & Treasuries, Maharashtra has recently released an employment latest notification of recruitment of Accounts Clerk & Junior Accountant Posts for filling up of 392 Vacancies. Mahakosh Recruitment 2014 invites online application to fill up 392 vacancies of Accounts Clerk & Junior Accountant Posts as office staff vacancies. 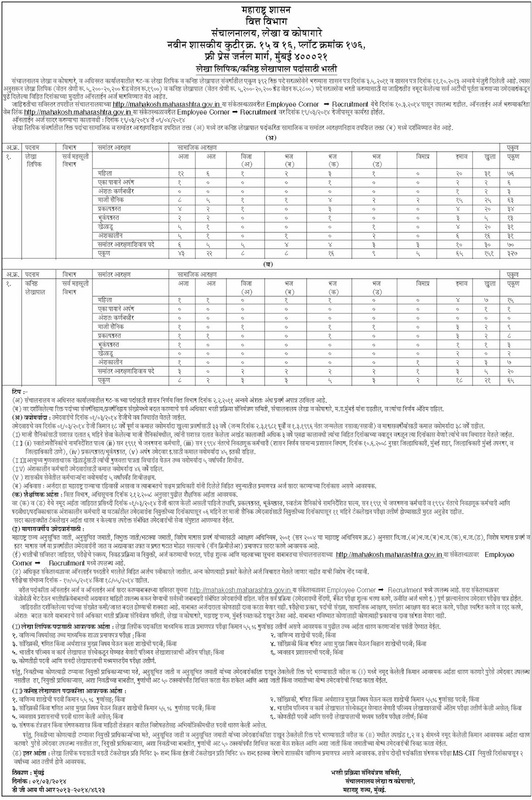 Department is recruiting for the various posts and there are total 392 various vacancies vacant. Mahakosh Recruitment 2014 invites applications from the eligible job seekers for filling 392 Clerk, Accountant jobs in Maharashtra. If you are eligibly and wants to join this department, you may read the full job notification below to apply the posts. Mentioned below for full notification.